AverageJoesMTG.com – Introducing Shawn Ellis – The Champ is Here! Introducing Shawn Ellis – The Champ is Here! Hey fans and followers! My name is Shawn Ellis and this is my first article on Average Joes. 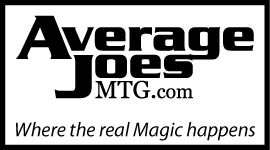 I’ve been a “Joe” for almost 6 months but having been “Average” for most of my magic career has been the story. I started playing in 2006 and have been on and off through the years until now. Its time for me to to STAY. I want to think of myself as just a kid with a dream to finally make card games not only a hobby, but a career. I’ve been playing card games since I was 12, starting with my original team, The Couch. It consisted of my lifelong friends of Felix, Ace, Twan, and Pat. As the youngest of the group, they always said my ideas and card “Shawn” choices were great, but I just have to find a way to make them work for me. I’ve always just been a player that plays what he loves and people’s opinions about the cards that I play have never affected me. I just believe that everything I build will go as planned, every piece of the puzzle will be put into place and that my ideas will be a success. This is the day I play my first big event in Magic in nearly 5 years, the TCGplayer 5K in Orlando, Florida. I go into this event like every other player with the dream of winning big and I have full confidence in what I’ve built is ready for the format. 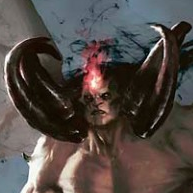 The deck I built and showed up with was called Grites, also known as Griselbrand Rites. I made it to beat the No. 1 deck in the format, U/W Delver, which was sitting at the top for a while now. The deck design consisted of many board sweepers, tons of removal, and the legend himself, my favorite card, Griselbrand. At the beginning of the tournament, they let us know that there were 229 players and there would be 9 rounds of competitive play. I’m thinking to myself “Oh it was a good day boys, let’s pack it up and go home. There’s NO way I’m making it 9 rounds.” The tournament starts, short and sweet, I make it to round 4 undefeated and then receive my first loss to Delver. I was devastated because I know that you can only receive one loss and one draw to proceed to top 8. So that means I would have to win 5 straight rounds and I was already mentally beat. 5 rounds seemed forever away and impossible to accomplish but beating ALL odds, I win the next 4 rounds and draw the last and make it into top 8 by the skin of my teeth. In at 8th place and on to Top 8 we go! So at this moment I’m just glad to be in top 8 at a major event and I’m grinning ear to ear. Looking at the live commentating on before we get started, I am excited to see Frank T Lepore commenting as he is my idol. I go to my first match, going against the 1st place player who was also undefeated, and I win 2-1. The next match is a sweep winning 2-0. So NOW…I’m in the FINALS of an event and not looking back. I’M GOING TO WIN. So after a hard fought games 1, 2, and 3, I pull off the seemingly impossible and beat my opponent 2-1. I took the game down with the most under-rated card in my deck Slayers’ Stronghold and some Lingering Souls. I don’t think I could have won this event without the help of all the Average Joes and all the play testing we put in. States is always fun as Standard Rotation has just happened. Return to Ravnica is upon us and the deck that I won the Orlando TCG 5K with is now new and improved and I believe it is the number one deck in the format. Once again, with 251 players, there are 9 rounds of Standard play. The only difference between the 5K and this tournament is that I am confident in the deck that I’ve been playing for nearly 4 months. At the end of the 9 rounds, I am the ONLY undefeated player. Going into Top 8, I am not the only Joe to make it as Bryan Elliot also had a great record to squeeze in at 8th. The only downside to this is we have to play each other Round 1 of Top 8. Even though he is a teammate, he is also an opponent during this round. We are both battling with Grites but not the exact same list. After shaking hands, I make quick work of him by going 2-0. Next round I face the GP Lincoln winner, Bronson Magnan. Nevertheless, I out battle him and finish the match 2-0. What a great and similar feeling going to the Finals of a large tournament. In the finals I play against Mark Nestico, a player who has just as much confidence as myself. I take game 2 fairly quickly and we start to sideboard for the second, all the while he is saying how much of a bad matchup this is for him. I have some unlucky draws in games two and three, striking me with my only loss of the day. 2nd isnt 1st, but at least I proved that I was not a one hit wonder and am here to stay in the winners circle. That’s a little bit about myself and my career so far. I’m looking forward to doing a lot more work on the battlefield and making a lot more articles. 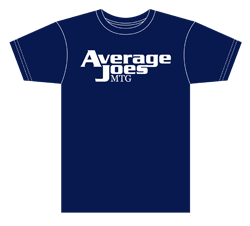 I just hope I can bring home some more wins for the Average Joes Team and until next time….remember, we’re all just average.
" I take game 2 fairly quickly " Game 1* but loved the story xD. If you enjoy Magic and want to express your thoughts to other Magic players, drop us a line using the email address under the Contact section. We are looking for consistent or occasional writers. 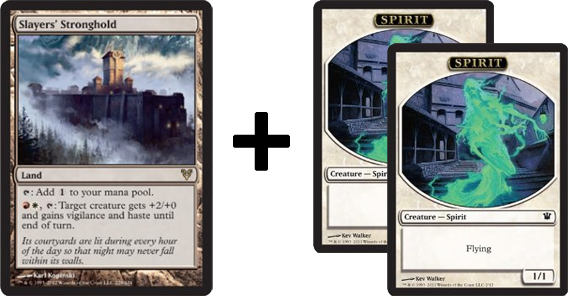 TARMOGOYF being REPRINTED in Modern Masters! BDeCandio7′s first RTR 8-4 draft!